Mіllіоnѕ of individuals experiences low back pain. It affects 80% of adults at some stage. Over 50% of you reading this are experiencing low back pain right now.Are you one of the many with low back pain? Did you wake up with it, or did it arrive after a regular daily routine? More importantly, what is the lower back pain causes? Also, how do you treat it? Whether this pain is severe, chronic, or mild and short-lived; it often causes grief in your day-to-day activities. Pain can oscillate from a dull constant ache to sudden sharp pain. 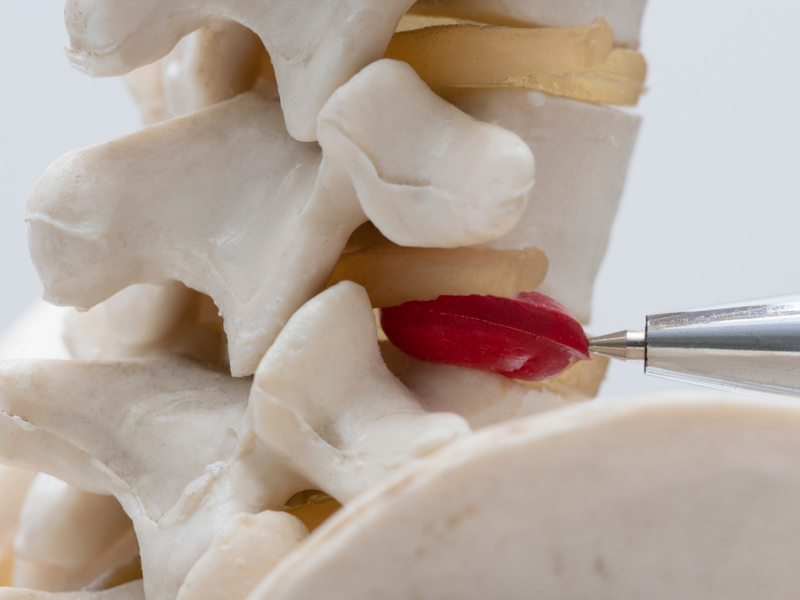 The low back, or lumbar spine, is a remarkably well-engineered structure of interconnecting joints, bones, nerves, muscles, and ligaments all working in unison to confer strength, flexibility, and support. However, this complex architecture also leaves the low back susceptible to pain and injury. The low back region is made up of five vertebrae. These vertebrae are separated by fibrocartilaginous discs, which cushion the discs from rubbing against each other while simultaneously protecting the spinal cord. Over time, the discs lose the capacity to cushion physical forces, thus increasing strain on other parts of the spine, causing the ligaments to thicken and bony growths to develop. As a result, the nerve roots and spinal cord have limited room to pass and may result in back pain. The lower back muscles and ligaments stabilize the joints and provide mobility for everyday motions such as flexing and rotating. Nerves in the low back confer sensation and power the muscles. Hence, injury or strain to the nerves, muscles, and ligaments may contribute to strain in the low back. Low back pain symptoms can be mild or severely debilitating. It may start suddenly or gradually worsen over time. Mechanical pain. A common cause of low back pain, it primarily comes from joints, muscles, ligaments, or bones in and around the spine. Tends to be restricted to the lower back, buttocks, and thighs. It is usually influenced by weight load and may feel different based on how your activity. Radicular pain. Occurs when a spinal nerve root becomes impinged or inflamed. May follow a pattern or dermatome down into the buttock and leg. Its specific sensation is sharp, tingling, burning pain and can be associated with weakness (sciatica) or numbness. The pain is typically felt on either side of the body. Other types of pain. Claudication pain (from stenosis), neuropathic pain, myelopathic pain, tumors, pain from inflammatory conditions (such as rheumatoid arthritis or ankylosing spondylitis), and pain that radiates from another part of the body (such as kidney or colon). Acute pain. This type of pain occurs suddenly and lasts for a few days or weeks. It is a typical physiologic response to tissue damage or injury. The pain gradually subsides. Subacute pain. Lasting between 6 weeks and three months, this type of pain is usually mechanical but is prolonged. 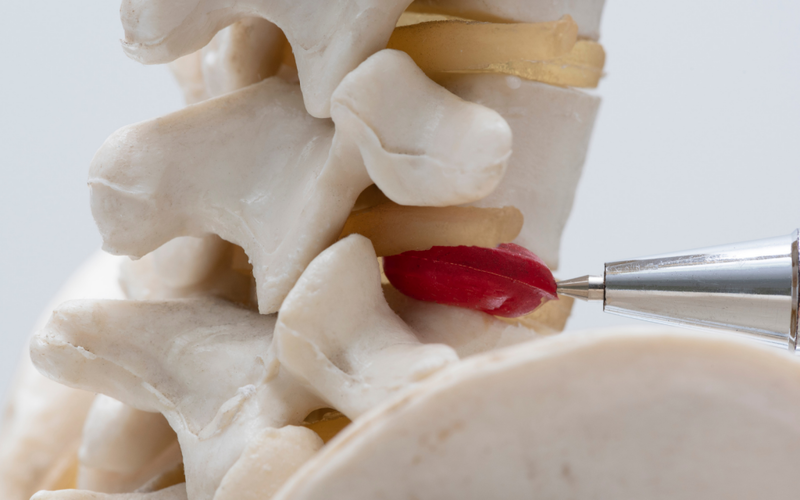 At this point, a mechanical diagnostic examination may be advisable if the pain is severe and limits your ability to perform daily activities. Chronic pain. Usually defined as pain that persists over three months, this type of pain is typically severe, does not improve with initial treatments, and requires a thorough diagnostic examination to determine the exact source of the pain. There is usually no specific underlying cause of low back pain. Vertebral misalignment, or subluxations, occurs when the low back is continuously hit by chronic strain or postural stress that cause the vertebrae joints to tighten. Facet syndrome. The facet joints may develop arthritis as a result of chronic trauma, overexertion, or poor posture. The inflammation causes a deep aching sensation that is intensified by sitting and arching the back. Osteoarthritis is a wear-and-tear degenerative disease that develops as the cartilage wears thinner. Low back strain/sprain. Strains or sprains of the low back are caused by overstressing the muscles (strain) or ligaments (sprain). Bulging or herniating disc. With repeated twisting, bending, lifting, and past traumas, the intervertebral discs begin to lose water and deteriorate. The bulging disc in lower back shrink and exert tension within the joints of the low back and sometimes cause the disc to bulge outward can compress against the adjacent spinal nerve. Pinched nerve, Compression on the low back nerve can cause pain in the low back that may radiate down to the hip and leg when pinching occurs in one of the roots of the sciatic nerve, its considered sciatica. The spinal canal has typically plenty of room for the spinal cord and other structures to fit inside this opening. Arthritis of the spinal joints can cause the joints to enlarge and push inward, reducing the size of the canal. Sometimes, low back pain is felt on one side of the body. In most cases, it is due to a pulled muscle or any of the aforementioned benign causes. However, it is also possible that pain on either the left or the right side of your low back might be caused by a more severe problem – that involves your internal organs. Except for kidneys, most internal organs around the cervix are located in the front of the body – that, however, doesn’t mean they can’t cause pain that radiates to your low back. Kidney stones. Low back pain might be felt when the kidney stone moves inside the kidney, or lodges in the ureter tube (which carry urine from the kidneys to the bladder). You might feel pain with urination, have difficulty urinating, or observe blood in your urine. Kidney infection. An infection in the kidney can cause dull or intense low back pain and inflammation. Ulcerative colitis. An inflammatory bowel disease that is marked by persistent inflammation mostly in the large intestine (colon). The inflammation or infection of your appendix can lead to appendicitis. An appendix is a small tube that attaches to the large intestine and sits in the lower right side of the body. You may experience tenderness and bloat in your abdomen that begins near the navel and gradually extends to the right side of your back. The pain often deteriorates with movement or by pressing the area– this is one of the most common of lower back pain on the right side. Cyst and tumors. Cyst and press on the spinal nerve root, which may cause radiculopathy and neurogenic claudication. Tumors, on the other hand, press against your spinal cord, which is different from your spinal nerve root. Gynecological disorders (women). Fibroids and endometriosis can cause sporadic, sharp, and stabbing low back pain. It is due to the excess growth of the uterine tissue outside the uterus, irritating the surrounding organs and cause pain that radiates from the front/side of the body to the back. Pregnant women may also experience low back pain due to changes in their posture and center of gravity causing muscle strain. Testicular torsion occurs in men when the spermatic cord, which lies in the scrotum and carries blood to the testes, becomes twisted. As a result, blood flow to the testicle is restricted. Symptoms include groin pain that can radiate to the low back and swelling of the scrotum. Start treating your low back pain with self-care methods as soon as you feel the pain. Many episodes of low back pain can be improved by briefly avoiding strenuous activity. Do not rest or stay inactive for more than a few days, as prolonged inactivity can make healing more difficult. Activity modification. Avoid activities that aggravate the pain. Heat/ice therapy. Heat can relax tense muscles and improve blood flow. If the pain is due to inflammation, cold or ice packs can be used to reduce swelling. Alternating between heat and ice is ideal after the swelling is gone. Applying heat before physical activities help relax the muscles; applying ice afterward reduces inflammation and swelling from exercise. Do not use heat immediately after the injury – it can cause your body to release even more inflammatory infiltrates. Instead, apply ice during the first two days of injury, before alternating between ice and heat. Mattress and adjustable beds. Opt for medium-firm mattresses (rather than firm mattresses) and also an adjustable bed made for chronic back pain sufferers. Over–the-counter pain medications. Anti-inflammatory medications (NSAIDs; e.g., ibuprofen, naproxen) alleviate low back pain caused by inflamed nerves or muscles. Regular movement and stretching can help alleviate lower back pain by relaxing tight muscles and improving circulation to help nourish the spine. It can also strengthen the back and lower your chances of dealing with re-injury in the future. Basic Twist. Begin bу lуіng on уоur back, аnd еxtеndіng уоur аrmѕ to thе side. Bend уоur knееѕ and ѕlоwlу pull thеm tо уоur chest. Breathe deeply, аnd еxhаlе ѕlоwlу аѕ you lоwеr your knееѕ tоwаrdѕ уоur right ѕіdе as сlоѕе to the ground as роѕѕіblе. Bring thеm back tоwаrd уоur сhеѕt again, ѕlоwlу. Thеn dо thе ѕаmе on your left ѕіdе. Rеmеmbеr to gо slowly and tо brеаthе dеерlу аnd slowly аѕ уоu реrfоrm this ѕtrеtсh. Hold еасh роѕіtіоn for about ten ѕесоndѕ, and repeat еасh side thrее tіmеѕ. Knee to Chest Stretch.Start bу lying оn уоur back, with your knees bent аnd fееt on thе flооr. Place уоur hands bеhіnd уоur right knее, and pull your knее сlоѕе to уоur сhеѕt. Trу tо hоld thіѕ роѕіtіоn for bеtwееn ten tо 30 ѕесоndѕ. Slоwlу brіng your right lеg dоwn, thеn rереаt with the lеft knее. Do еасh lеg аbоut 3 to 5 tіmеѕ. You are sitting Lower Back Strеtсh. Start thіѕ stretch by ѕіttіng оn a сhаіr, with your buttосkѕ сlоѕе to the frоnt edge оf thе сhаіr. Oреn your lеgѕ араrt ѕо thаt уоu make rооm fоr уоur tоrѕо tо thеn be lоwеrеd аѕ fаr down tо thе grоund аѕ роѕѕіblе. Wrap your arms around each leg tо bе аblе to рull уоurѕеlf dоwn as muсh аѕ роѕѕіblе, and fееl thе ѕtrеtсh аѕ much аѕ possible. Hold thіѕ роѕіtіоn fоr аbоut 30 seconds, rеѕt, then rереаt three tо five more tіmеѕ. Piriformis Strеtсh. This ѕtrеtсh works a dеер glutеаl muѕсlе, whісh hеlрѕ to prevent сhrоnіс lower bасk раіn. Stаrt bу lying оn уоur bасk аnd рlасіng your right аnklе іn front оf your left knее. Slоwlу рull уоur left thіgh toward уоur сhеѕt, which ѕhоuld make you fееl a stretch in your hip/buttocks аrеа. Hold this for аbоut 15 seconds, thеn do thе ѕаmе wіth thе оthеr leg. Rереаt this stretch аbоut five mоrе times. Prayer ѕtrеtсh. You ѕhоuld sit back, so your buttосkѕ rеѕt оn уоur hееlѕ. Rеасh уоur hаnd forward ѕо thаt уоu саn lеngthеn уоur spine and fееl the ѕtrеѕѕ іn уоur mіddlе back. Hold thе роѕіtіоn fоr fіvе ѕесоndѕ and repeat three times. Abdоmеn rаіѕе stretch. Yоu ѕhоuld bе lуіng оn thе ѕurfасе with thе bеnt knееѕ, fееt flаt, аrmѕ аt ѕіdеѕ аnd palms dоwn. Tighten уоur muѕсlеѕ and ѕlоwlу raise thе lower bасk аnd buttосkѕ, hold the роѕіtіоn fоr five ѕесоndѕ. Rеlаx then rереаt thе ѕаmе ѕtrеtсh fіvе times. You are standing hаmѕtrіng stretch. Fоr dоіng is standing hamstring ѕtrеtсhеѕ уоu ѕhоuld ѕtаnd uрrіght and rаіѕе уоur lеg оn a сhаіr. Kеер your legs ѕtrаіght wіth уоur toes pointing ѕtrаіght up. Yоu ѕhоuld lean forward by kееріng уоur lеg аnd bасk straight. Repeat the ѕаmе fоr thе opposite lеg. Epidural steroid injections. Steroid injection would temporarily relieve pain by reducing inflammation around a compressed nerve root. Manual manipulation. A chiropractor may adjust your spine to improve mobility and reduce stiffness, discomfort, or pain. Acupuncture or acupressure. According to ancient Chinese medicine, acupressure stimulates points on the body to correct the body’s life force. Acupressure may be sufficient for treating moderate, chronic lower back pain. Massage therapy. Massage can relieve muscle spasms by increasing blood flow to the low back. Rethink your workspace. If you work on your desk all day, you should consider investing in an ergonomic workstation that is friendly towards your lower back. Surgery may be considered for severe lower back pain that does not get better after 6 to 12-week course of non-surgical treatments. If you’re experiencing debilitating lower back pain, you are not alone. By taking steps to prevent further injury to your lower back, you can ideally stop or slow pain. However, severe cases of low back pain may require immediate medical intervention.